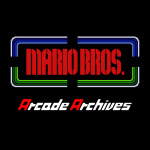 The standard Nintendo Download day may be Thursday, but Arcade Archives Mario Bros. has arrived - as promised - already. It's the first of a series of releases that'll include a range of Nintendo arcade games reproduced for the current-gen hardware. The releases are being produced by HAMSTER, which has done sterling work bringing a host of Neo Geo titles to the Switch eShop. The main selling points are accurate reproduction, customisation for things like borders and difficulty, and the option to jump into local multiplayer with one Joy-Con each. As for the games still to come in future weeks, they're below, all arcade originals. Pricing is pretty much what we pay for those ACA Neo Geo games - it's £6.29 in the UK and $7.99USD in North America. So, are you planning to pick this up, or is the sheer volume of downloads due on the Switch this week and beyond making you save your hard earned pennies? I have never really had this game. Not even sure if it was made for my Atari 2600. I will be getting this soon. I'll bite. It's a fun 2 player game. Perfect for Switch. No this isn't a game that ever interested me. And even if I wanted to play it, I would just stick with the version on the NES Mini. Something about it just sounds off, I think it's the running noises. While fun for a time there's far more coming out this week I'd rather play. This falls somewhere in the bottom of those games. I did have fun playing this recently at my sons hockey games. It's a rare find indeed. if it means we get more? i'll support it. It's the best version of Mario Bros.
and it doesnt look like the Super Mario Advance game series will be on Switch any time soon which all include it. There are some differences between this bad boy and the more common NES/Famicom version. Not sure which one I prefer better. @PAppleyard there indeed was an atari 2600 port. Just with more simplistic graphics. Nailed the gameplay though!-the most important part. @Drac_Mazoku I assure you, Nintendo has the rights to Donkey Kong. They will release it on Switch when they feel like paying Hamster to do the conversion for them and not a moment before. @Marios-love-child an NES version of this might be free at a later date with online subscription, but they're charging $7.99 for their 'premium' arcade titles. I've never really been a fan of this game, tbh. I'll just stick with my free Luigi Bros. from Super Mario 3D World. As a kid, I only knew this game as the minigame in Super Mario Bros 3 when you wanted to beat up your older brother for awhile. Only in the past five years did I learn it was its own game which was ported to several consoles before Nintendo put out their own. I might get Ice Climbers, or even Baloon Fight. But this one, no. I never liked it, and charging as much as the Neo Geo games is ridiculous ! I don't intend to buy any of these, the line up is incredibly unappealing, especially when you can buy a new game like Butcher for a little more. Aside from Punch Out, which has never seen a port, I'm not really interested in many of Nintendo's arcade games (well, Donkey Kong would be awesome to have). To Nintendo's credit, their arcade-to-NES conversions were typically fantastic, so it just seems sort of redundant to release the arcade ports with a premium price tag. I'll pay $8 for Punch Out, Super Punch Out, Popeye (which won't happen), Donkey Kong, Mario Kart Arcade GP, and Radarscope. It's cool and all, but I would honestly rather see Nintendo partner with Sega, who had such an amazing/untapped arcade presence! I mean, it would be so cool to have Virtua Fighter, Virtua Racing, Virtua Cop (with the joycon emulating the gun), Daytona, Crazy Taxi, Rad Mobile, Zaxxon, Turbo Outrun, Congo Bongo, House of the Dead, etc. Come on, Nintendo/Sega! Make it happen! Ha! Does anyone else remember when they launched VC on Wii U and they had a launch sale with a NES VC game each week for $0.99? Something like that would peek my interest, otherwise, thank you bye! I love Mario with all my heart, but I'm going to have to pass on this for now. 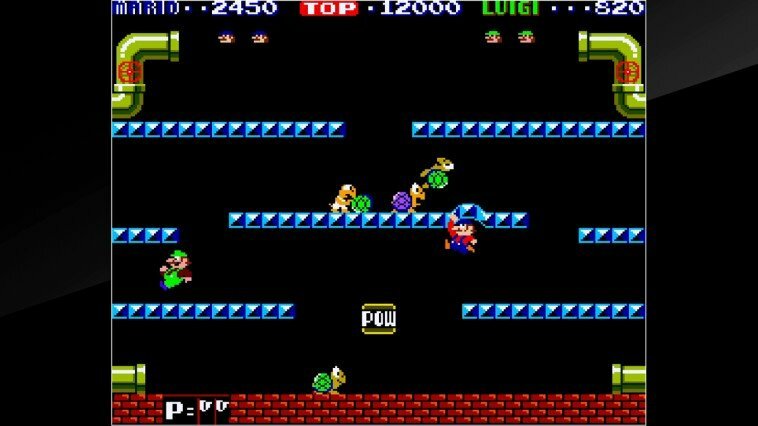 Mario Bros is a fun little arcade game, but compared to the likes of Mario today, it feels so primitive in a sense that its controls and physics were very off-putting, leading me to unfair deaths. Luckily, Super Mario Advance series fixes all this and are by far the better versions for me and I happen to have Yoshi's Island on 3DS as an ambassador. As Drac_Mazoku said, I'd much rather have those two Donkey Kong games and VS Super Mario Bros than any other VS Nintendo game. 8 bucks for a game that probably takes about 8kb of memory....I'll pass. I’ll pick this up, hoping Nintendo will release more of their Arcade games on the Switch. I dont think I'll interact with this range much. Mario and Punch out are the only things jumping out at me. At least with HAMSTER at the helm (fun mental picture there), we know they'll do a good job. $8 not too bad, was hoping on the lower side of things. That list above lacks VS Urban Champion, Excitebike and Wrecking Crew. @Shiryu I prefer the arcade one. I had the luck of being around one for a lot of months in the late 80s at a boys and girls club. I'd go between that, eventually being able to finish Ghosts n Goblins, and also Super Dodgeball there too. I'm very pleased to pick this game up. @tanookisuit It certainly is a match made in heaven for Switch's double Joy-Con setup. So what about Virtual Console? Yeah Nintendo, let the hamster do your work for you. You just stay in that nice little office smoking your cigar and wait for those money rolling in. $8 LOL. There's just no way. I know this isnt the NES VC version, but remember when WiiU eShop launched and Nintendo made it clear that by their next console VC purchases would transfer over to the next console in full .... let's see how this turns out when the time comes. @DairyOverdrive It's called HAMSTER now. Way easier to remember. I would love them packaged as a collection (to save tile space). Or NINTENDO! Give us folders! @w00dm4n Mario Battle (from the advance series) was different. It had boss fights and 4 player. Needs to hurry up in the United States, I’m gonna be getting busy in the next few hours and would rather play it now. I'd rather that these were packaged together in a cartridge. They're just too expensive individually. This costs more than an SNES game in the other eShops. Really questioning Hamster's business decission here. It's already a stretch to charge the same price for every NeoGeo game regardless of content, but this really takes the cake. Even the Namco Museum looks like a bargain compared to this. Yes! More classic Nintendo arcade games please! To those complaining about the price I have a simple bit of math for you to chew on and reasoning before you consider it a legitimate complaint. It may be a game of the earlier half the 1980s, but this game you can still find around the world in random throwback arcades and it still costs the same quarter it did 30 years ago. At $8 and .25 a game, you have 32 plays needed to get your value out of it. Do you think you'll ever play it that many times? Answer that, then come back with a complaint about the price. Same argument with the Neo-Geo Hamster/ACA releases as well as both are SNK/Nintendo + Hamster on these projects. @Alikan Nintendo isn't the one publishing this series. Its being handled by the same company that did the Neo Geo games. Not too surprised about the price. $8 for Mario Bros.?? I was interested in trying out this series but I'll wait for one I actually want. I just wish they had difficulty settings added for these ports that equated to a set amount of credits. I wonder if there's a website that has recommended credit amounts for completions? $8 for any and all of them? Ehhhh... maybe some, but not for Mario Bros.... or most of those titles. Punchout, if it's the arcade version, is of interest, however. @Scrummer I was thinking of picking this up but you've just reminded me that we did indeed get given a bonus 'Luigi Version' of this game on Super Mario 3D World for Wii U. Remind me, was that the arcade version of the game or the NES home port? £6.29? How random. I know this is a very important and historic game, but jeez. That's pricey. @AlternateButtons yes, this is true. Nintendo still owns the games and decides when they get released. Hamster is the publisher, employed to perform these tasks for Nintendo. @Marios-love-child Doesn't start intill next year, even then you have to start paying for the online modes. @Drac_Mazoku yes, just like the rumors that Nintendo didn't own the Super FX chip. The original IP belongs to them still. @Roam85 Only if you did the 4 player mode. in single player your stuck with a small Mario 2 Sprite. @Lroy The original Famicom from 1983 with a colour hack on Mario. So I just got it, cause I've always really liked this game, but I think I've found a big bug. Can anyone else play multiplayer while the system is in tabletop mode? Player 2's controller can't seem to do anything in the game when undocked (It can still take screenshots and control the home menu, however). Edit: Just realized this only occurs if there are Joy-Con connected to the sides of the Switch. Player 2 can only control with whichever Joy-Con is physically connected to the left side of the Switch for some reason, even if a disconnected joy-con is set to be player 2. @Drac_Mazoku Yes and no. There's no evidence neither for or against that they got the rights from IT. The terms on which the case was settled was never publicly revealed so it could have literally included anything. Nintendo have also in general avoided releasing their own arcade games for any console ever since the release of the Famicom and since the Famicom got all of their famous arcade games and plenty of other famous games it makes sense to just create an emulator for those. But my wild speculation is that Nintendo will at the very least make an offer to IT soon for getting the rights to the codes if AA on NS becomes a success, IT after all owns the code to no less than 1/4 of Nintendo's arcades. I am duty bound to buy this. One of the games that got me in to gaming. I bought the C64 conversion...I am sure as heck grabbing this one! @mikegamer Please explain to me what the VC is? Because...I just don't understand your sentiment. @Drac_Mazoku that rumor doesn't even make sense, how could they not own the rights to the arcade version when they do own the rights to the NES version? There are very few differences (even the omitted 50m level was included in the 3DS rerelease). Not to mention the arcade version was used in DK64, unless you're inferring Rare had the rights to a game Nintendo created 4 years before Rare even was founded. @Luigi_Skywalker Right...so how does what you mention differ from buying Hamsters arcade ports? I'm sure you are arguing semantics here. @GrailUK it is semantics, it's like calling the IOS App Store the "eShop", it's simply not what it's called. It plays great!!! And nothing like the NES version. I can’t make it to the ice levels, if they’re even in the game. Now, I really want some folder options so I can separate my arcade games from the others, etc. Is that all they added? No online features whatsoever? No online multiplayer or leaderboards? Just $8 for a game you can find on your web browser without even downloading it? Last time I saw this in an arcade (a few years ago) it was 25 cents a play, so I guess that's 32 plays to get your money's worth, but it's not like the game was attracting people among newer games anyways - for a dollar or two I'd download it just because, if it was packaged with a bunch of other arcade games I'd bite, but for $8 I can get a much more meaty indie games. Side note: this was included free in every Super Mario Advance release, so yeah, $8 seems steep. @GrailUK Where are the Snes, NES, GBA, GBC games? Not arcade ports, as these are ports, not emulated classics, so they can charge more money. We were promised VC games for the Switch. These are a little before my time (I started with the gameboy color/N64) so I've never had any interest in playing them. I have played Ice Climbers on one of those 100 games TV consoles though....and didn't really like it. I'm pretty sure I've played this game one way or another at some point too and it really didn't do anything for me. it should be free as apart of their soon to come monthly online gaming service. no way am i buying this. I'll pick this up, likely the arcade Punch-Out!! as well. Those are the only one's that really grab me at this time. I'd love to hear about the original arcade Donkey Kong especially, so I'll just have to be patient for that one. Even Donkey Kong Jr. and Donkey Kong 3 would be nice to know are coming, but I'm guessing Nintendo is saving those. Lots of great memories for me with this game as I used to play this with my mother as couch-co-op when it was on the NES. Skip ahead to Punch-Out!! . . . .so excited to play that one at home FINALLY!! @GrailUK I am not arguing at all. You asked what VC was and I explained it. I am not saying there is a difference. I love arcade Mario, but Towerfall Ascension modernized and perfected the sub-genre, and is coming to switch soon with 4 player support. I think I'll hold out. Saving for Mario odissy, $8 too steep. @Alikan The original Donkey Kong arcade, however, had some programming that was partially done by another company, Ikegami Tsushinki Co. There's a question of whether or not they may have some say in what can be done with that version of the game. In fact, in 1983 the company sued Nintendo for 580 million yen when Nintendo decided to try to manufacture the boards themselves. The lawsuit involved both Donkey Kong and Donkey Kong Junior. Nintendo settled out of court. What's the difference between this version and the NES version? Favorite arcade game of all time. Just downloaded it! Thanks, Nintendo!!! @leo13 The NES version doesn't have the falling icicles, and after level 13 it simply keeps repeating levels 9 through 13, rather than offering the icicles and progressively more difficult levels. I will nab it. It will be fun to mess around with a friend from time to time. It's perfect on the Switch, as I assume each player can use a joy con. @GrailUK No worries! It’s all good on NL! I'm afraid these arcade games don't interest me. I'm excited for this and any Nintendo arcade game released. In my opinion, the arcade version was superior to the NES version. Bring them on Nintendo!!! Just wanted to say as well i'm only interested in arcade Donkey Kong too. Not all games are timeless. I was disappointed. I thought I would get ALL the Arcade Archives games, but it was only Mario Bros... And the controls sucked as well. Was really difficult to control Mario. He didn't do what I wanted. I believe the version of the original Donkey Kong game in Donkey Kong 64 was the closest home version to had ever been released by Nintendo. @Mario500 It is, I think it was due to Rare doing a lot of emulation during the N64 (I mean Golden Eye had a spectrum emulator with all their games, but it was hidden) what's interesting about DK64 the Wii U version still has the arcade game. so maybe they can release it on the Switch? That is true. Although I was hoping that if and when the VC does launch on the Switch there would be some kind of long winded (or preferably more simple) system transfer like there was with Wii. To Wii U so we wouldn't have to buy our games again. But this is Nintendo and as we know they never do simple. I guess we'll have to wait and see but in the meantime I've no interest in these particular "classics"
That's why I happy to see something different from them (since these games are getting rarer) Yeah most of them are survival Pac-Man style games (with the Nintendo twist) But games like Punch Out and VS Super Mario Bros should be worth checking out.